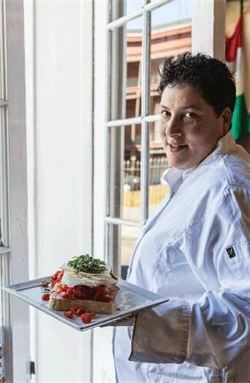 Verona, Italy-Born and raised Chef Samantha Castagnetti creates "Northern Italian" dishes at The Italian Barrel in the French Quarter, New Orleans. Chef Samantha believes in serving only the finest, freshest, highest quality ingredients she can find. She also believes in giving you an Italian food experience like no other, which is why she imports many of her items directly from Italy.